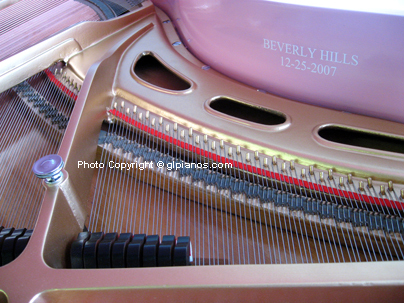 A Beverly Hills developer wanted a special surprise gift for his daughter Gia at Christmas. 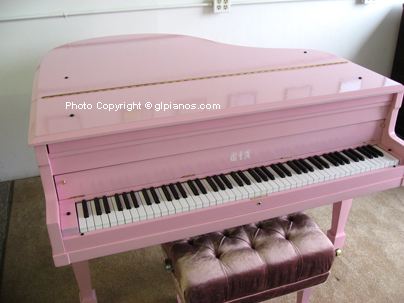 He asked me if we could refinish his baby grand in a custom Pink Semi-Gloss. 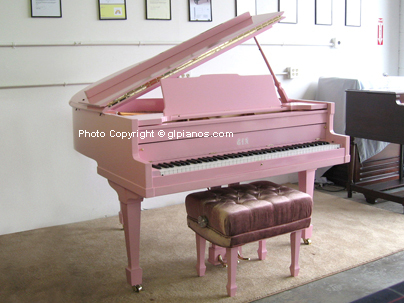 We also refinished a new Jansen artist bench to match and custom reupholstered the top in a pink crushed velvet fabric. 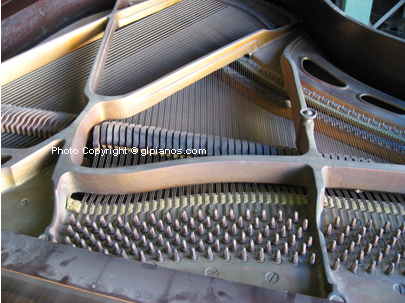 At the clients request, we had custom decals made for the fallboard (key cover), and on the inside rim. 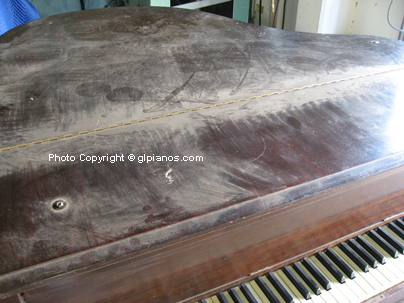 Below are 3 photos of the piano before our restoration work. 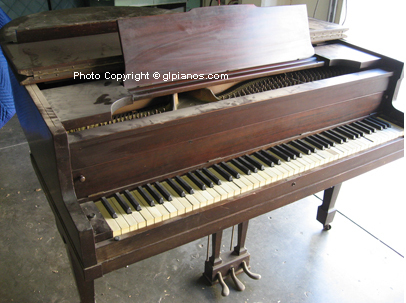 The piano's original condition was terrible as it was obtained from a tear down property in Beverly Hills before demolition.